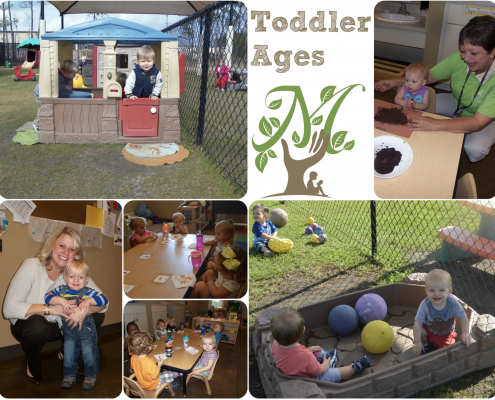 Our toddler rooms serve children ages 12 months-20 months. In our two toddler rooms, the children have access to their own playground with age-appropriate equipment and plenty of supervision! Equipment is monitored regularly for safety hazards. 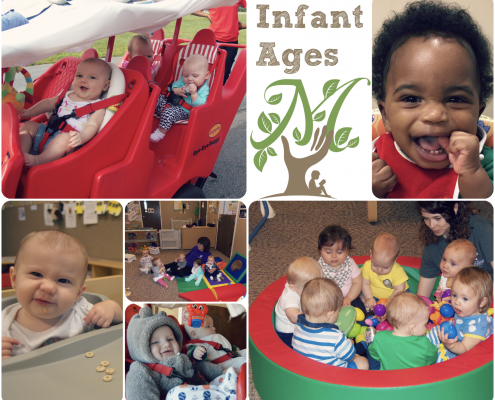 We focus on several key components of brain and physical development to provide an enriching Toddler experience following WINGS curriculum and GELDS.